Greece has exported so much of its thoughts it seems only natural that it would export the marathon. After all, were it not for Phidipide’s mythical 42 kilometer run, democracy would never have flourished and thus, there would be no world as we know it today. 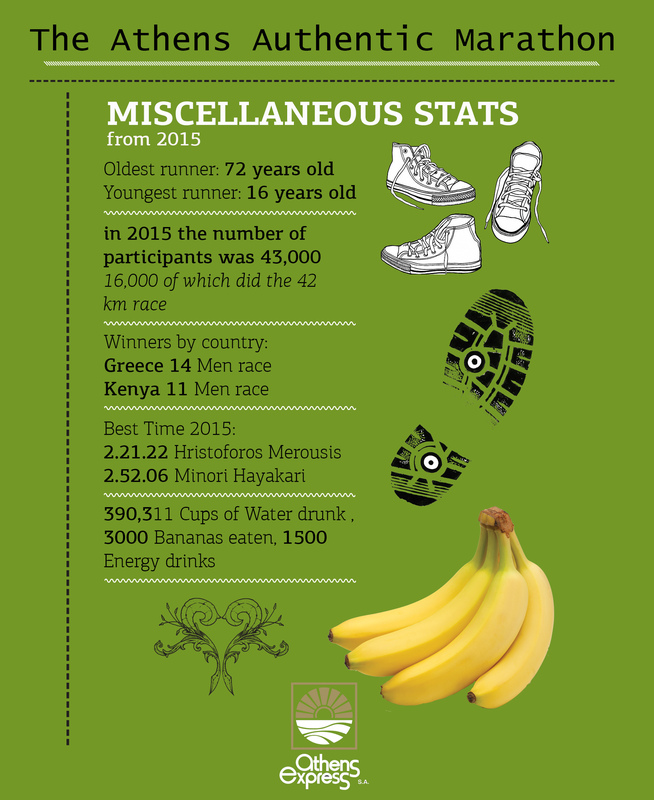 So, in a sense, the Athens Marathon holds a significance that often goes unnoticed by many. It is imbued with a very spiritual undertone. 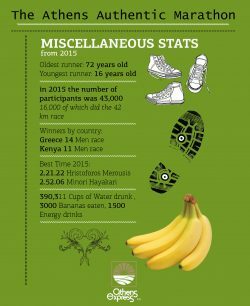 Once you’ve run the Authentic Athens Marathon, the rest look like what they in fact are; imitations. There are so many pieces of history to look at while you’re running, including a life sized sculpture of Phidipides himself, located on Marathonos avenue. The course itself is a doosie. Two thirds of the way in are hilly and rocky and really hot. Fortunately for you, the rest of the way is a downhill, all the way down to the finish line at the magnificent Panathenaic stadium . Now, 42 kilometres is quite a way, so there are suitably shorter slaloms for those who wish to take it easy on their legs. The 10 and 5 kilometre races are just as fun. And really, the spectacle of entering the first Olympic stadium ever and the only one made of marble, well, the feeling is indescribable. The event is earmarked for the 12th of November and is in fact a 3 day event. Combining a city break with a chance to run this historic race would make for ideal autumn vacations. And just to put things in perspective; Athens is currently baking in the sun mid October, with blue skies and 20 odd degrees Celsius. It means that after you finish running the marathon you can pop in to the beach, conveniently located about 15 clicks from the city center. And of course, the vibrant Athenian nightlife and its diverse options will put you in the right frame of mind, later on in the evening.